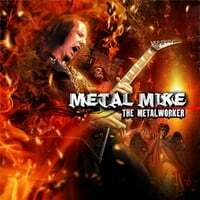 Written by Metal Mike, Ridiculous Riffs For The Terrifying Guitarist book delivers an awesome display of licks, scales, tricks, technique and theory behind each example. Written with ease of use in mind, this book will take you on a no frills ride into the world of scales, tapping, arpeggios and the ridiculous department - where only the bravestdare enter. This is Mike's very popular book that is highly recommended to all rock and metal guitarists.